LenDenClub > Knowledge Center > Need a loan in a hurry? P2P loans might be the answer! Need a loan in a hurry? P2P loans might be the answer! There are times when you need funds in a hurry, but are confused where to get them from. Banks take their own sweet time in processing loan applications, and they may even reject your application in some instances. Where do you go next? The answer could be P2P loans, or market place loans. There is a buzz around this term in recent times, and here we try to explain what P2P lending is, hope to answer a few of the questions you may have. P2P lending enables people to avail of loans online, through a trusted platform like LenDenClub. These loans are funded by other individuals or institutions. All you have to do to get loan on such platforms is to give a few basic details on yourself, upload a few documents and the platform will do the rest. Platforms such as LenDenClub do a due diligence on your profile, with proprietary algorithms that include a number of parameters including your credit scores. Since these algorithms differ from the way bank screen your loan application, you have a higher chance of getting lenders for your loan. What are the rates for a P2P loan? 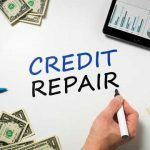 Does applying for a P2P loan affect credit score? 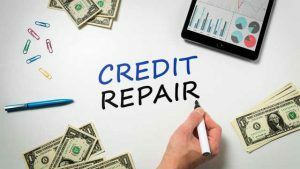 Unlike banks and other financial institutions, who do a hard inquiryeverytime they receive your loan application, P2P lenders such as LenDenClub do a soft inquiry and hence do not leave a mark on your credit score. Platforms like LenDenClub also have recovery support and, lenders can be sure to receive help when there is a loan default or a delay in payment. Is the information shared with the P2P platform confidential? When you sign up as a borrower on a platform such as LenDenClub, you may be asked to provide supporting documents on your income, your bank statements etc. These are used by the platformto ascertain whether you will be able to service the loan repayments regularly. This information is never shared with any prospective lenders by the platform. You can be rest assured that your information is safe! How long will it take for the loan to get funded? P2P lending platforms such as LenDenClub work on a marketplace model,i.e. they will list your loan on the platform and lenders will show an interest to fund the loan. One of the things you could do to make your loan application more attractive to a lender is to give in details on your requirement, highlight your assets, income sources and be honest about your other obligations. The more transparent your listing is, the easier it is to convince the lender about your need and hence fund your loan quicker.